It’s been a while since we have had any photos posted, and now the bucket runneth over. Enjoy the show. I will try to narrate if I can remember what was happening! Otherwise, feel free to write your own storyline! 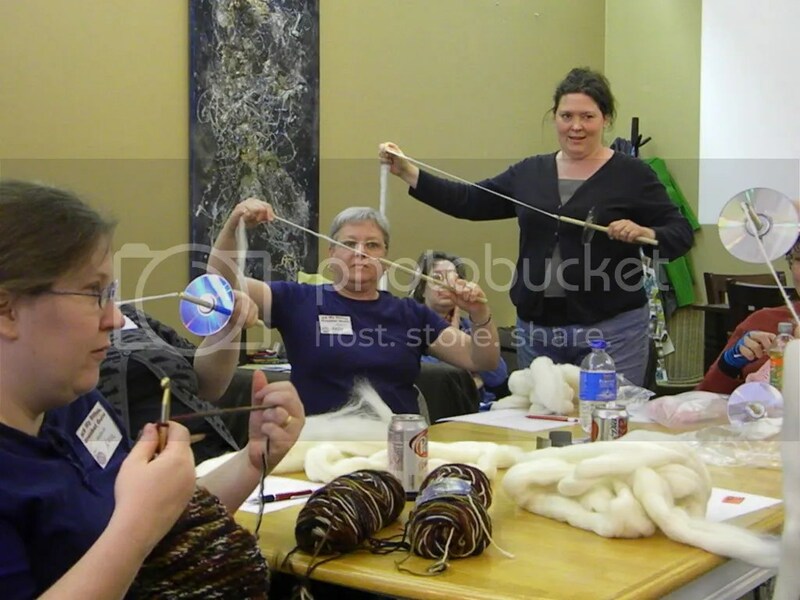 Group shot of the July program, learning to use a spindle. 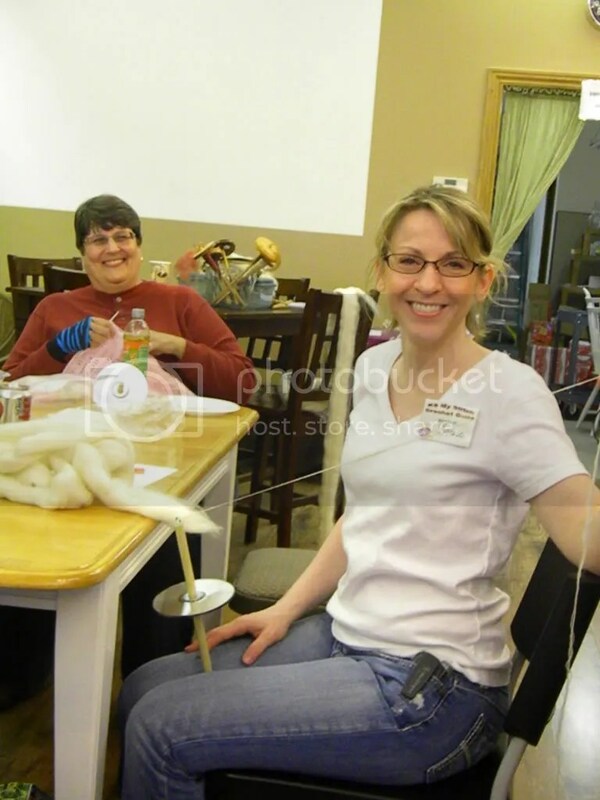 Creative stitch marker, looks like an earring, Wendy! Susie with a scarf, beautiful yarn! 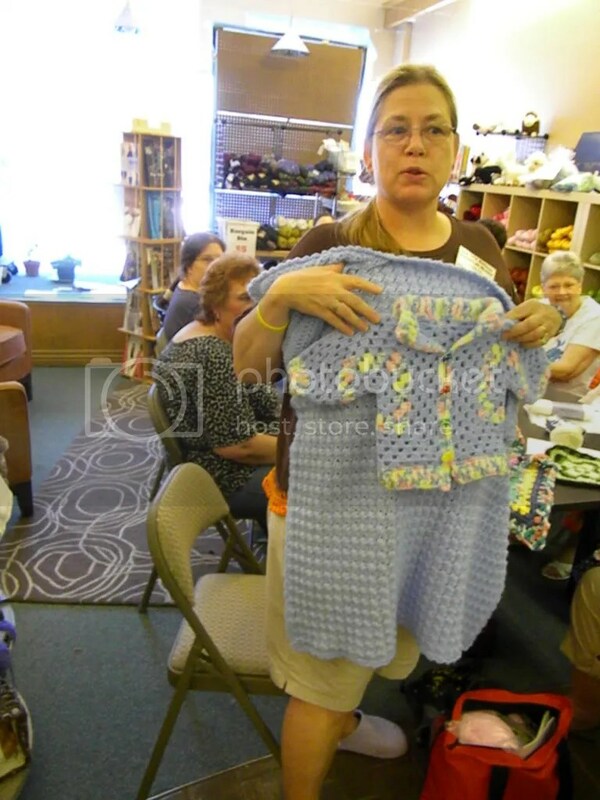 Linda G.’s hexagon baby jacket and blanket. Beautiful work! 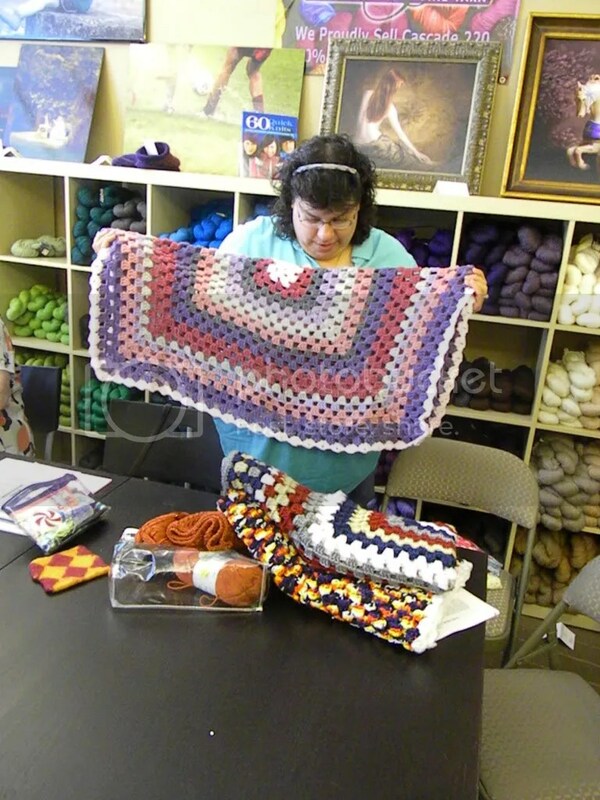 Jackie with her crocheted fabric & crocheted border. 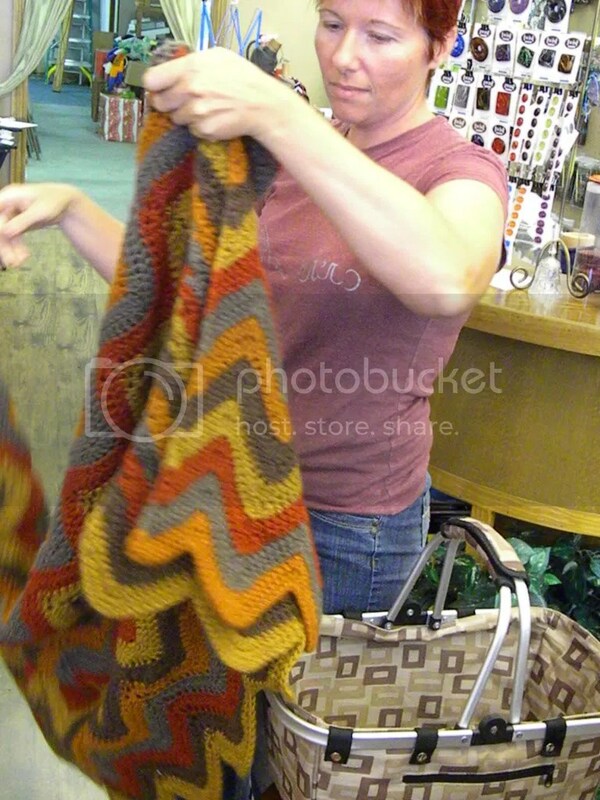 Fall color ripple afghan by Donna. 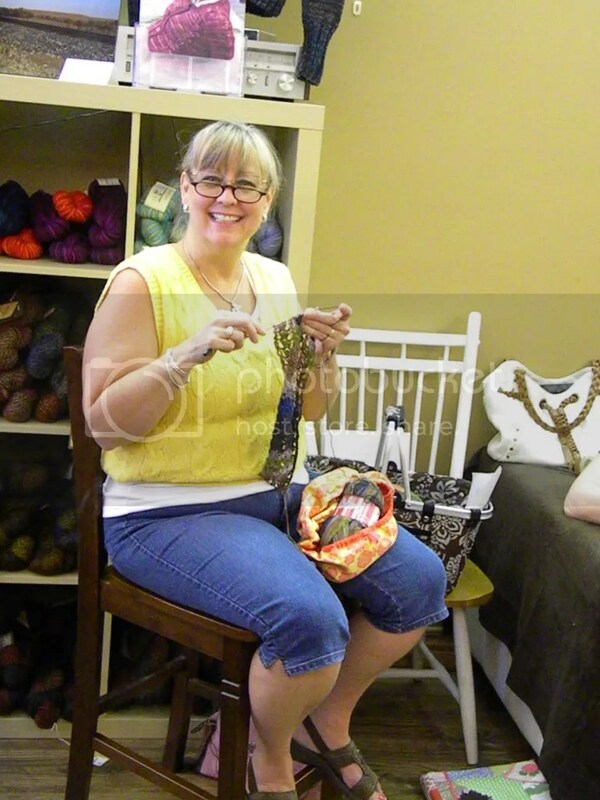 Leann’s knit and crochet dress, so creative! Granny square afghans completed by Cheryl, WOW, 3? 4? maybe 5? 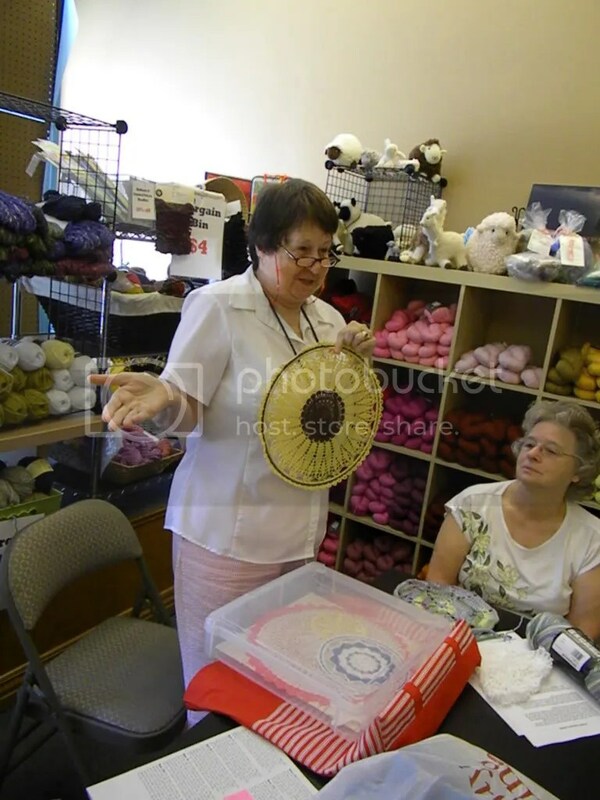 A STACK of doilies and sun catchers, made by Karen! 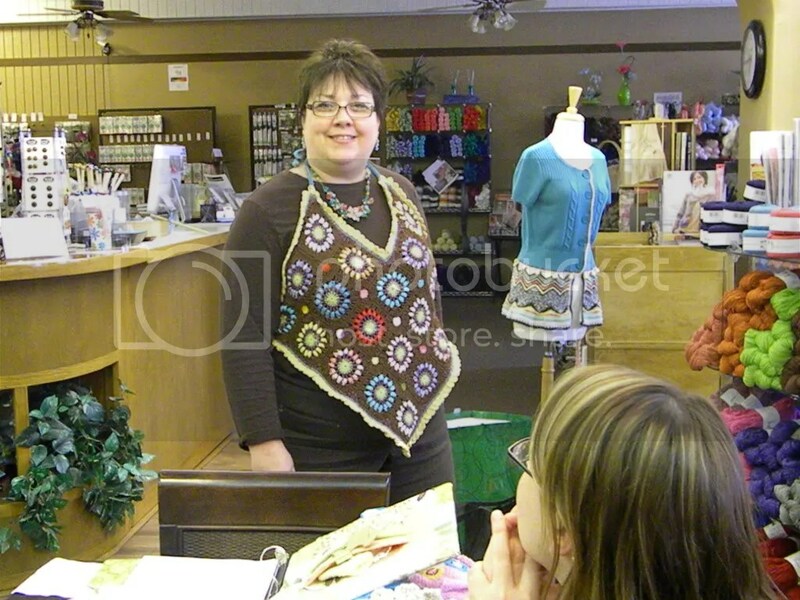 Tamara, our fearless leader in her halter. 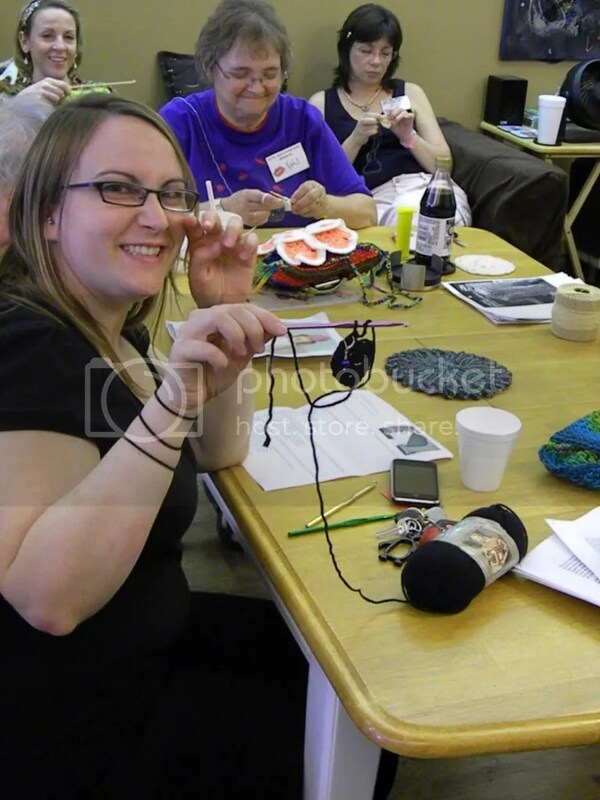 Thanks for sharing all of your wonderful creations and talent, ladies! 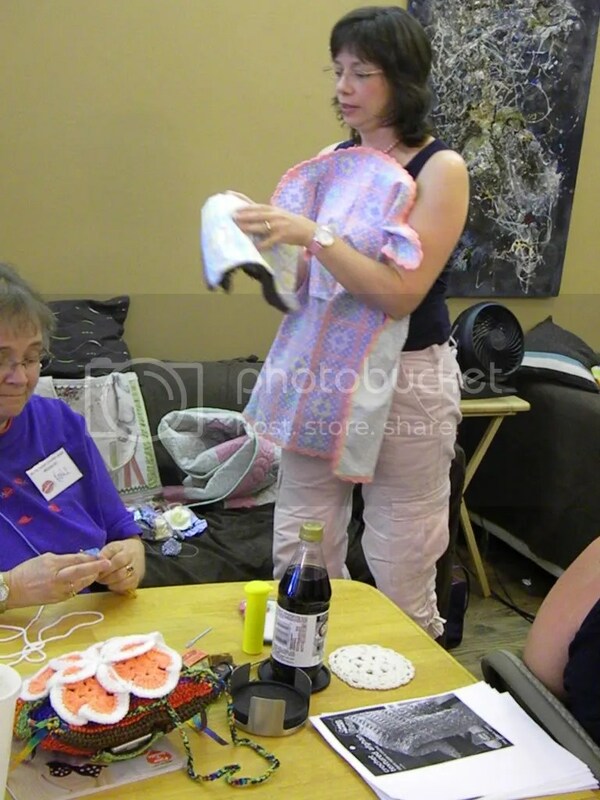 We will try to get photos uploaded each month. 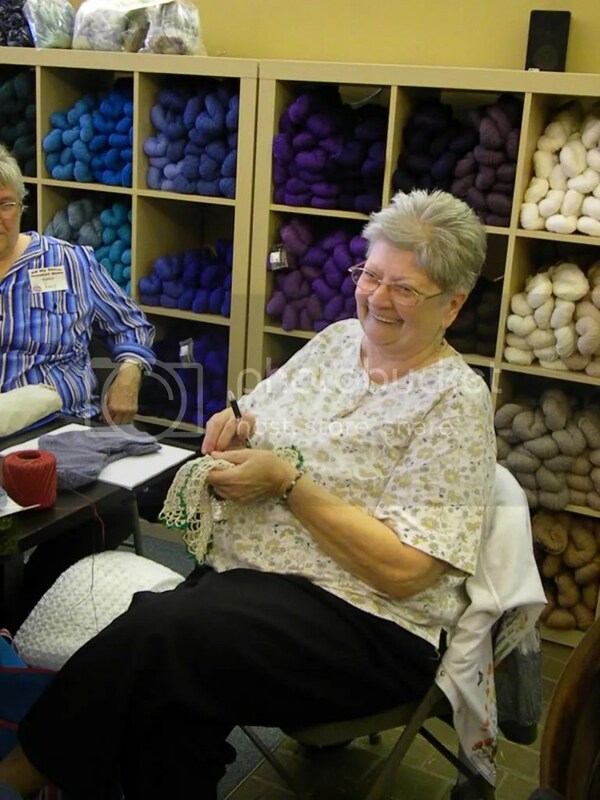 If you don’t see yourself here, there was a lot of catching up to do, or you might have been hiding behind your work – there were a lot of floating afghans!